Yet another climate change luminary is speaking the plainly obvious truth on nuclear power. How much longer will it take Australian’s to push this on to our political agenda? Occasionally, I take a short cut with my blog posts and just reproduce something verbatim. Today is one of those times after I found this article courtesy of a Tweat from BNC. 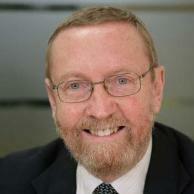 John Beddington is the Chief Scientific Advisor in the United Kingdom. In this piece he makes his unimpeachably well-credentialed views clear on the essential role of nuclear power in an effective response to climate change. Add Beddington to the growing chorus of environmental and scientific voices with the same message. I am personally very glad to see some of the thoughts I have expressed here at DSA on many occasions expressed in such similar language here. I’ve bolded a couple statements below that you will find in various forms across this blog. This is not fringe environmental thinking, far from it. We need to keep moving these messages out, and then up to our politics. SEOUL — Britain’s chief scientific adviser voiced concern Wednesday at moves to abandon nuclear power after Japan’s Fukushima crisis, saying it remains vital to combat global warming. John Beddington called for greater global efforts to cut carbon emissions, saying the world could otherwise face “unprecedented” challenges with natural disasters becoming more frequent and destructive. Britain has pledged to reduce greenhouse gas emissions by at least 80 percent by 2050, but this could hardly be achieved without nuclear power, he said. “There is very clear analytical work that says this is not feasible for the United Kingdom to abandon nuclear without a completely catastrophic increase in energy prices,” Beddington told a Seoul forum on climate change. “So that is why the UK has a very different energy policy from Germany,” he said, stressing nuclear would play “a significant part” in Britain’s energy sources. The Fukushima crisis sparked global fears over the safety of atomic reactors. Germany decided to shut down all of its nuclear reactors by the end of 2022 as a result. Beddington said however the world may not have the luxury of shunning nuclear power. Volatile weather caused by climate change had led to more floods, droughts, tropical storms and forest fires of greater intensity while reducing crop yields, he said, adding most victims were in developing nations. Beddington said “time is against us” and the world should not dismiss any kind of technology. He also said the danger posed by crippled reactors at Fukushima was “quite moderate”, citing expert studies to determine whether Britons should be evacuated. The experts set the worst possible scenario of having all radioactive material at Fukushima released into the air and winds blowing towards the greater Tokyo area, Beddington said. “The answer came out… there was absolutely no need (to evacuate nationals),” he said. Previous Entry It is time to ask yourself: What are you more afraid of? I remember that name well from a presentation he did early in the Fukushima crisis about the possible worst case scenario at the British Embassy in Tokyo. He turned out to be slightly wrong, since he assumed that meltdowns would lead to further explosions. Those failed to materialize. But this was an important voice of reason early on. The implied message is that renewables “can’t” work (not that we’re really trying hard – still giving the fossil fuel industry US $409b a year worldwide). The implied message is that the Japanese showed us how badly you could run/design/locate a nuclear industry and we somehow fluked it – no-one quite understands how, but destruction didn’t follow. I find that sort of reasoning jaw dropping. This comment is interesting; “catastrophic increase in energy prices”. That of course is partly the reason next-to-no new nuclear is on the table in the UK at the moment. No-one can find a way to make them economic (like the new French and new experience for the Fins). So, I’m sorry, but that just isn’t an endorsement. Perhaps that’s what troubles the people of Germany who I’m not so sure are pleased to be told they’re mad. Zvy, regarding your first point, I’d say the message is not that renewables can’t work at all but that by themselves renewables can’t replace 80% of the UK’s coal and gas by 2050, and therefore if the UK wishes to eliminate it’s emissions from of it’s electricity generation it will need ALL zero carbon options at it’s disposal. The UK really does not have any scalable, renewable, baseload alternatives so nuclear power is going to be a key technology in that area.